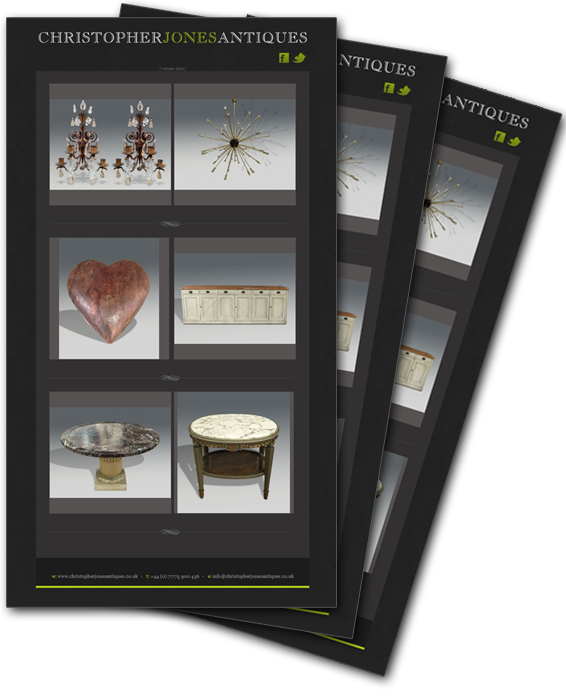 Please join our mailing list and we'll notify you periodicaly about all new arrivals at Christopher Jones Antiques. Simpy fill in below form and you'll be registered immiadiatelly. Please don't worry we also hate spam, so we can assure you, we'll not share your email address with any one else and garantee not to send anything above our new arrivals. You can always unregister from our list automatically and immidiatelly by clicking special link inside one of the messages you receive from us.